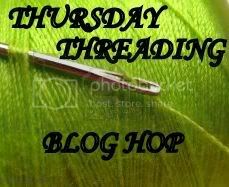 It's time once again for Thursday Threading Blog Hop! I can't believe it's now week 4 for this and I continue to thank everyone who have been participating. I hope you will continue to have fun threading from one blog to the next! I'm just glad that GFC is back to normal. I almost ended up not hosting this week. But....Thursday Threading is here and we're in business! As usual, the rules are simple. Just follow me (spot #1), as well as Susie's blog (spot #2) and then feel free to link up below. 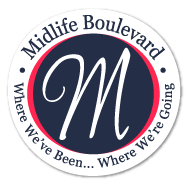 Visit as many of the other blogs as you'd like and make sure you comment so they know you've visiting and/or following them. Feel free to grab the code above so you could advertise the hop on your site. The more participants, the merrier! Thanks for letting me know about and inviting me to your blog hop! Thanks for inviting me over! I tweeted the hop out and posted on Facebook. I hope it helps! 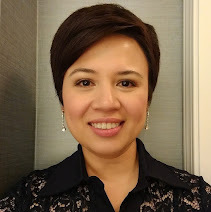 Stopped by from another blog hop and I am now following you thru GFC, Facebook and Networked Blogs. I would really love a follow back on all three if you don't mind. I did not see a Twitter button or I would have followed that also. Let me know if I need to come back and I will. Have a great weekend! Thanks for the visit and all the help, Mary (Sweeping Me) and Susie! I really appreciate it!! Please come by and follow back, if you havent already! I'm a new follower. I'd love it if you'd follow me back at A Helicopter Mom! I'm following you and linked up from both my blogs! Also, stopping by from So Followed Saturday to congratulate you on being this weeks blog spotlight! !